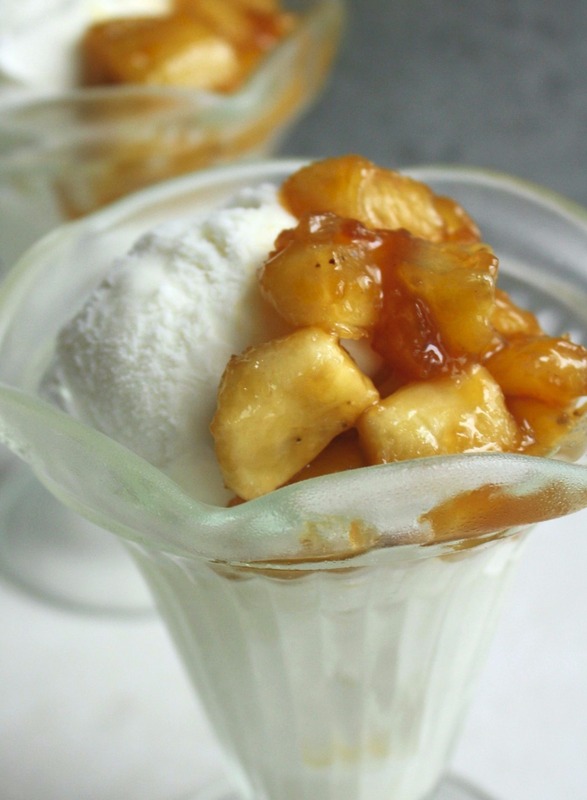 Enjoy the taste of decadent healthy bananas foster without all the hassle! Done in 5 minutes and less than 250 calories for the perfect guilt-free treat! Most days I am pretty good at staying on track with my nutritional goals. When I have the right balance of healthy food choices, I really don’t crave sweets or feel the need to have a “cheat” meal very often. Then there are days where that little voice inside of me is just begging for a small treat. In all honesty, it’s little splurges like this healthy bananas foster that really keep me on track. If I completely deprive myself, that is when I will end up caving in a moment of weakness and binge eating an entire container of Milano cookies. The key is to find a balance. Something small to fulfill the craving without also loading myself full of sugar, calories – and regret. It’s done in 5 minutes flat so I won’t have to waste time in the kitchen on a treat AND increase the possibility of binging while I wait for my treat to cook. 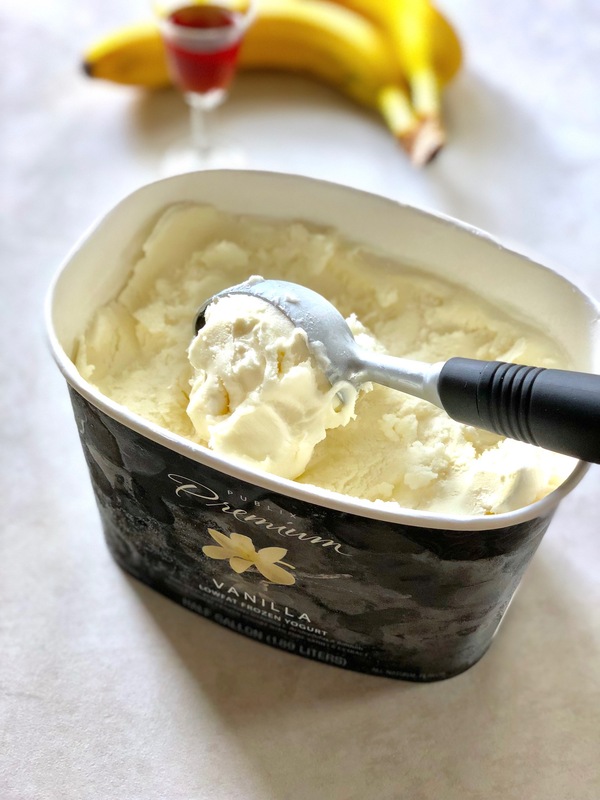 This recipe uses frozen yogurt instead of ice cream so you get a little boost of healthy probiotics while you enjoy your treat. Plus a good vanilla froyo is soooo yummy! It’s only 223 calories and 4 grams of fat per serving – and that includes the side of froyo. Bananas are a year-round fruit which means they taste perfect all year long. Plus they are full of potassium, magnesium, Vitamin B and fiber. Hashtag winning! ARE YOU ON INSTAGRAM? Me too! FOLLOW ME for more fun food photography and exclusive recipes that only appear on my IG account! 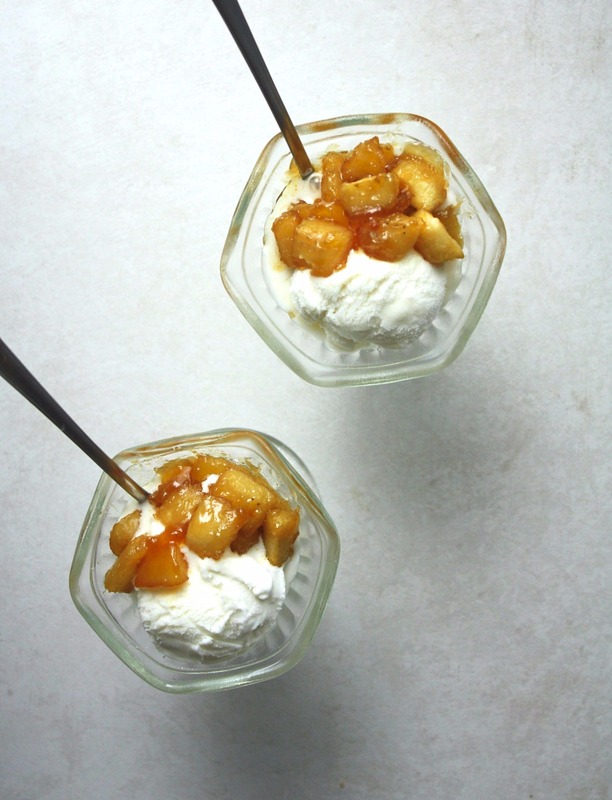 Enjoy the taste of decadent bananas foster without all the hassle! Done in 5 minutes and less than 250 calories for the perfect guilt free treat! Heat butter, honey, rum and vanilla over medium-high heat. Meanwhile, chop the banana into large pieces. Add to rum mixture and let simmer for 3 minutes. Scoop 1/2 cup vanilla frozen yogurt into 2 bowls. Divide banana mixture into each bowl and enjoy!